A file with the .RTF file extension is a Rich Text Format file. It's different from a plain text file in that it can hold formatting like bold and italics, plus different fonts and sizes, and images. RTF files are useful because lots of programs support them. This means you can build an RTF file in one program on a specific operating system, like macOS, and then open the same RTF file in Windows or Linux and have it look basically the same. The easiest way to open an RTF file in Windows is to use WordPad since it's pre-installed. However, other text editors and word processors work in basically the same way, like LibreOffice, OpenOffice, AbleWord, Jarte, AbiWord, WPS Office, and SoftMaker FreeOffice. AbiWord for Windows can be downloaded from Softpedia. However, it's important to realize that not every program that supports RTF files can view the file in the same way. This is because some programs don't support newer specifications of the RTF format. More on that below. Zoho Docs and Google Docs are two ways you can open and edit RTF files online. If you're using Google Docs to edit the RTF file, you have to first upload it to your Google Drive account through the NEW > File upload menu. Then, right-click the file and choose Open with > Google Docs. Some other, not-free ways to open RTF files include using Microsoft Word or Corel WordPerfect. A few of those Windows RTF editors also work with Linux and Mac. If you're on macOS, you can also use Apple TextEdit or Apple Pages to open the RTF file. 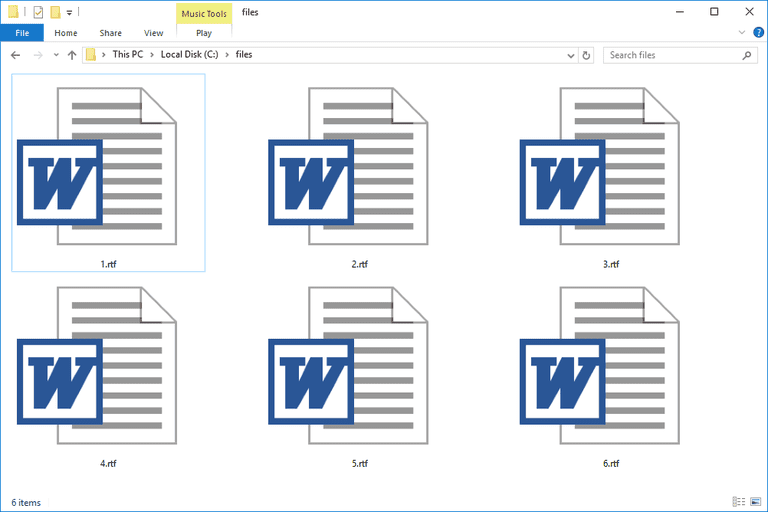 If your RTF file is opening in a program that you don't want to use it with, see How to Change the Default Program for a Specific File Extension in Windows. For example, making that change would be helpful if you want to edit your RTF file in Notepad but it's instead of opening in OpenOffice Writer. The fastest way to convert this type of file is to use an online RTF converter like FileZigZag. You can save the RTF as a DOC, PDF, TXT, ODT, or HTML file. Another way to convert an RTF to PDF online, or to PNG, PCX, or PS, is to use Zamzar. Doxillion is another free document file converter that can convert RTF to DOCX and a host of other document formats. Another way to convert an RTF file is to use one of the RTF editors from above. With the file already open, use the File menu or some sort of Export option to save the RTF to a different file format. The RTF format was first used in 1987 but stopped being updated by Microsoft in 2008. Since then, there have been some revisions to the format. What defines whether or not one document editor will display the RTF file in the same way as the one that built it depends on what version of RTF is being used. For example, while you can insert an image in an RTF file, not all readers know how to display it because they aren't all updated to the latest RTF specification. When this happens, images won't be displayed at all. RTF files were once used for Windows help files but have since been replaced by Microsoft Compiled HTML Help files that use the CHM file extension. The first RTF version was of course released in 1987 and used by MS Word 3. From 1989 to 2006, versions 1.1 through 1.91 were released, with the last RTF version supporting things like XML markup, custom XML tags, password protection, and math elements. Because the RTF format is XML-based and not binary, you can actually read the contents when you open the file in a plain text editor like Notepad. RTF files don't support macros but that doesn't mean that ".RTF" files are macro-safe. For example, an MS Word file that contains macros can be renamed to have the .RTF file extension so it looks safe, but then when opened in MS Word, the macros can still run normally since it's not truly an RTF file.